BACKGROUND: When Planar CEO Gerry Perkel's success with a sales and marketing background is combined with Gulick's technical background, he's confident they will be able to take Planar to the next level. THE CHALLENGE: Understanding the customers' needs, and then finding the right technology to serve those needs. BEAVERTON, OR-In the first phase of its strategy to expand into high-growth segments of the specialty display marketplace, Planar Systems will acquire all of the outstanding capital stock of privately-held Clarity Visual Systems. 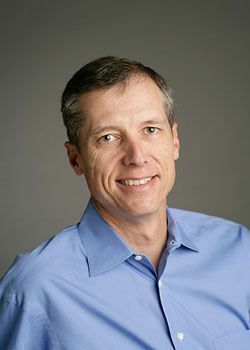 Founded in 1995 by Paul Gulick, Clarity currently employs approximately 200 people, with more than half based at the company's headquarters in Wilsonville, OR. Upon completion of the acquisition, Gulick, and senior vice president, sales and marketing, Kris Gorriarán will join Planar's executive team. The digital signage market in which Clarity participates is experiencing rapid growth driven by a number of factors, including broadband delivery of multimedia content, trends in advertising toward targeted marketing campaigns at the point of purchase, and overall reductions in display component costs. Planar's initiatives in retail signage and kiosk systems will be combined with Clarity's market position in digital signage to address this growing market's need for display network management software and specialty displays. Gulick took some time to speak to SCN about what this acquisition means for him and for the future of Planar. SCN:What is your current position? Paul Gulick: Today, I am CEO of Clarity Visual Systems, and have been CEO since I founded the company in 1995. How did the acquisition by Planar come to be? Planar is a well-known display company here in the Portland, OR region. Last fall, they brought on a new CEO. As he came to understand the company, they had an initiative internally to look at the digital signage market. He reached out to me personally at Clarity to say, 'you guys are leaders in this digital signage marketplace, what's going on, do you know anything about what we're doing,' and it was basically a get-to-know-each-other inquiry. After a couple of conversations, we started realizing we had similar desires and philosophies towards growing markets, and we began talking about potentially joining forces back around April. What will your new position be with Planar? My new position will be chief technology officer. First and foremost, I'll be assisting Kris Gorriarán, who is currently our VP of sales and marketing, and who will be the GM of the new business unit that will be formed with the addition of Clarity. We'll work on making sure that there will be a successful integration of the Clarity business unit, particularly overseeing the ongoing development of the technology resources within the company. I will help to make sure we keep the same focus on innovation and technology that we've always had here at Clarity. Secondly, I've been asked to take a broader role to look across the entire company, through the several business units, to find a way to best leverage the technology resources within the company. The chief technology officer role was one I played very successfully at another company I helped to start, called In Focus Systems. I ran the technology organization from conception through to taking the company public in 1990, and up until I left in 1995. We drove forward the company product line, and I'm proud to say that my team was able to develop a number of industry firsts. We really tried to consider what the customer was trying to accomplish, and to best leverage the technology to serve it. As a result of some of the technology that was developed, we ended up with broad-reaching technology that is currently licensed to some of the major cell phone and PDA manufacturers for low-cost digital displays. My background is in electrical engineering and computer science; I was originally a practicing engineer. At Clarity, as CEO, I've been in much more of a business development and management role. While I've been a CEO for the last 11 years, I've always taken a particular interest in helping drive the company's reputation forward for innovation and technology deployment. I'm excited for the new opportunity, particularly since Gerry Perkel, the CEO of Planar, has had a great deal of success coming from a sales and marketing background. What are your ongoing goals? Something that I emphasize is understanding the needs of the customer in technology development. By best understanding what the customers' needs are, you're best able to find the right technology to serve those needs. Because my team and myself understand these needs of the Clarity customer base, we've got a great roadmap and a refreshed product line. I hope to come to understand the other vertical markets that Planar serves, and hopefully I can help the teams there focus their resources on meeting those needs. On what markets will you focus? The Planar Commercial Business Unit, with its mass-market computer monitor business, is a market that Planar is moving to de-focus its efforts, and then energize more on the vertical markets. That's why Clarity's such a great fit-we've got vertical market focus, with a lot of innovation applied to earn a good business with our customer base. We see a lot of opportunity particularly in digital signage. We've recently strengthened our offerings on digital signage software for control and delivery of content to displays; there's a lot of growth potential within that market for us to continue to expand and offer more products and services. We are currently focused on a couple of specific marketplaces for digital signage, most of which are indoor spaces, and one direction we're considering is outdoor display technology.